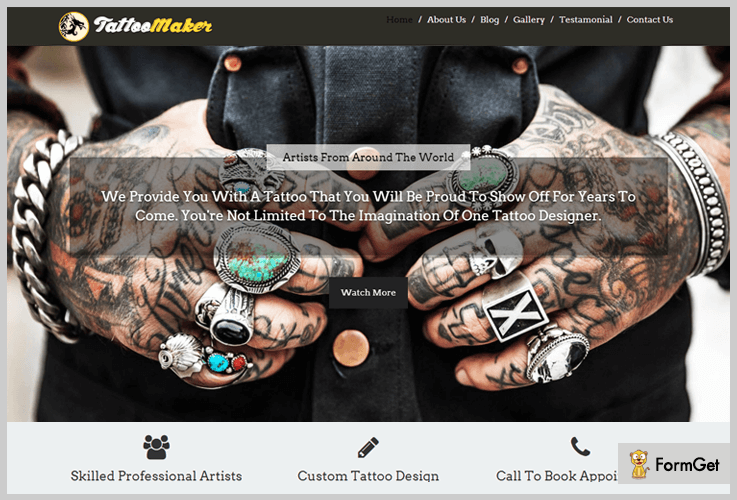 Wondered what Tattoo Studio WordPress Themes will do for your tattoo business? First of all, to magnify tattoo business you need to work with some important aspects. In the first place, you must be dealing with the furnishing of your tattoos designs and their patterns. After that, you must pay attention to tattoo relevant techniques. And the most important, to showcase all this expertise in the web platform. That’s why you need the tattoo studio WordPress themes, this will work for you as an online platform using which you can create a website. Currently, we have thousands of themes and picking one of them can be a rub. As a result, we have eased up your work and list out some free and paid Tattoo Studio WordPress Themes. So, that your website will become a splendid layout for tattoo business. These themes are assorted with custom widgets with high functionalities or advanced features. In this segment, we are going to describe them well. I am sure, that after knowing the listed themes, you will get impatient to work on them. And your website could speak volumes about your tattoo studio. As the name suggested ” TattooBoutique ” theme will surely have the brochures for tattoo designs as customer’s satisfaction. 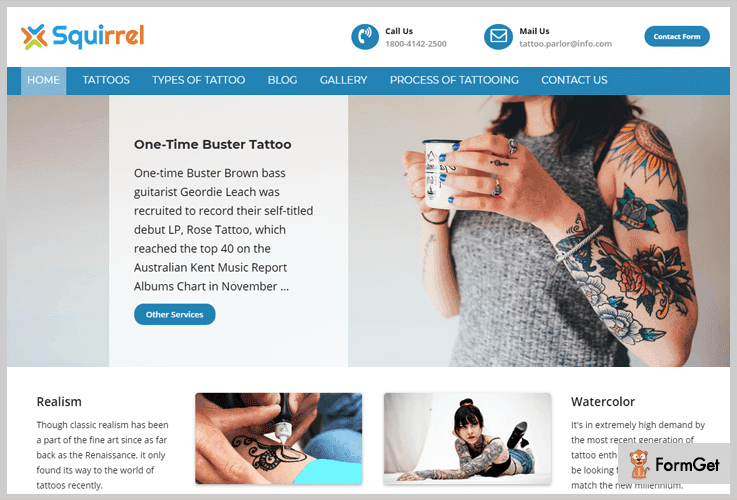 The tattoo salons, tattoo shops, related experts, art studios & the body art centres can make an outstanding use of this theme as compared to other tattoo studio WordPress themes. 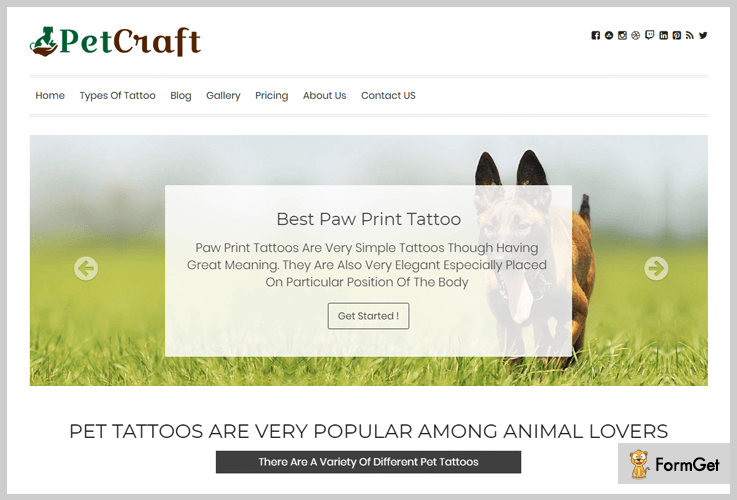 To assemble a tattoo based website, you require a theme with unique features. 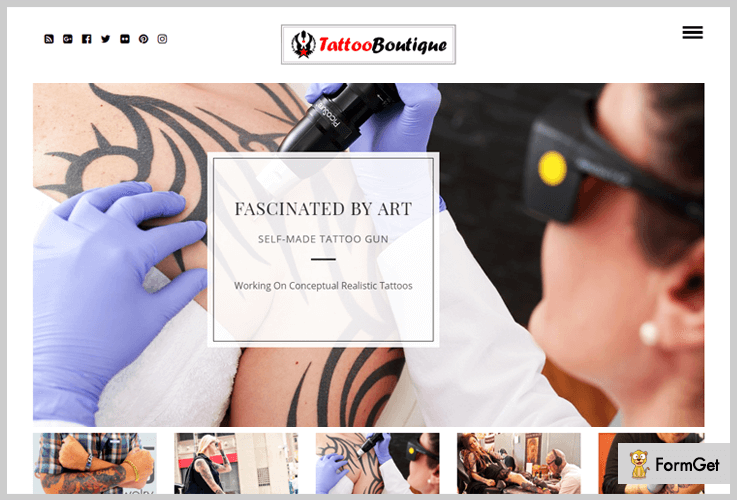 And you will never find a theme better than TattooBoutique – Tattoo & Piercing Studio WordPress Theme. Its features like responsive behaviour, gallery segment, blogging segment etc., and customizable resources make it more glamorous. Animated flex slider of 6 slides are there, this will give the professional glance to your website. And you can exhibit all your ultimate pictures of tattoo art. These tattoo studio WordPress theme permit you to append custom logos & favicon to your tattoo studio for branding. You can find a distinct menu for the gallery in which you can upload the pictures related to your work. The theme will have the menu list in hidden format placed at the top of your homepage. These menus have their subcategories in a drop-down format. You can buy this item at $79. This is the major impressive theme to exhibit your tattoo craft in a superior style. The best part which we would like to notify you that the “TattooMaker” is hugely short and sweet one-page theme. These theme entices the visitors with their special features and has the ability to mould itself in any screen size. Let’s get started with the TattooMaker. Flawless full-width image slider area of 4 slides with the text description. Here we have comprehensive & customizable appointment booking system. The homepage holds the featured blog section. Here you can pinpoint a special feature naming as “Testimonial“. This you can showcase on your website by which you will receive the feedback from your patrons, and the new users may perceive some analysis about you. There are assorted layers of authentication for everyone who wants to utilize this theme that will secure your data. Widgetized footer and sidebar carry a brief description of your menus and possess some links bind to them. The cost of a respective theme is $79. This is entirely different and impressive theme build up to furnish best visuals, designs, and graphics for Animals Tattoo Art. Dog Mark & Cat Emblem Centers. The slider at the front page exists of 6 slides along with a description text. On the designing end here we have customized feature logo area at the top left corner & comprise social icons on the left side. You can propagate your designs with their description to the users by separate gallery section. Here you have the separate blog section on the homepage. The left side of that blog section includes a customizable widget, like- search option, recent post, gallery, subcategories etc. They all are optional and modify as per you. Flawless footer with three separate widgets – about us, gallery, contact us. You also get a lead capture plugin integrated through which you can collect the contact details of users and can stay in touch with them. You need to pay only $79 for this theme. 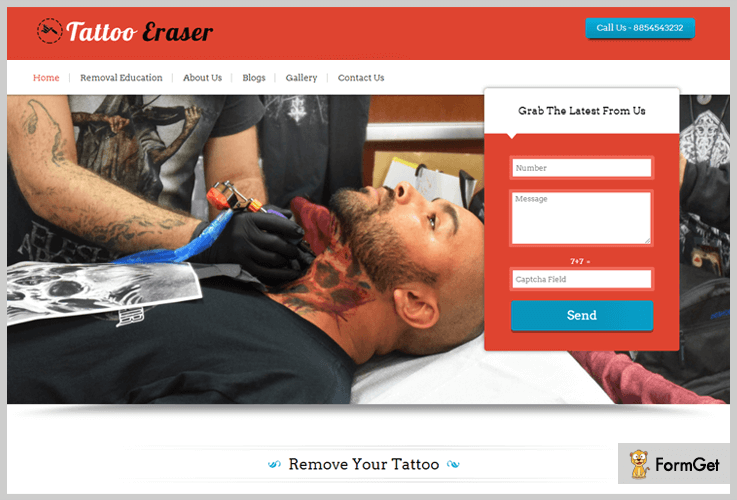 It is a tattoo studio WordPress theme which can create an online tattoo shop with WooCommerce integration. This theme arises with the dashboard loaded with various options like separate portfolio section, blogging section, different layouts, dispenses with 8 different colour styles and many more. The flexible slider of three slides with their quotation. A button is there to redirect your users to certain blog for full knowledge. This theme has the different styles of your tattoos in A4 grid format with their small description. Sell Products Online via WooCommerce: This is the most surprising feature by which user can buy their favourite products on some clickings from anywhere, they can complete their payment mode via PayPal. Particular space for customer support. Attractive footer with 4 blocks, they are – recent posts, gallery tattoo, contact us. Here you can assemble social icons as well. Price of this specific theme is $79. As the name indicates “TattooErazer“, we can find it out that the theme is not to fabricate tattoos but remove or erase them. You can narrate the users that it is not that much easy to remove the tattoos. So, you have special techniques for safe & secure removal. Here you have a full-width slider with 5 slides, in which you can upload some snapshots. As from the designing side, you can place your logo at, contact number at the top of the homepage. You will have a compact enquiry form for your customers and they’ll require perfusing this from their basic information. The form will have – contact number, message, and captcha for authentication basis. After that, you will have the choice to elaborate your techniques for removal of tattoos in “Removal Education Menu”. This is basically the blog section. You can dispense some images over here, which gives your website a pleasant look. Furnish the interaction pipeline between the customers and the experts by using contact window pop-up. This theme comes with various customizable widgets and attractive footer inhere of 4 headings along with subcategories. Today is the era of all micros & mini as you go for T.V., computers, data storage devices and many more. 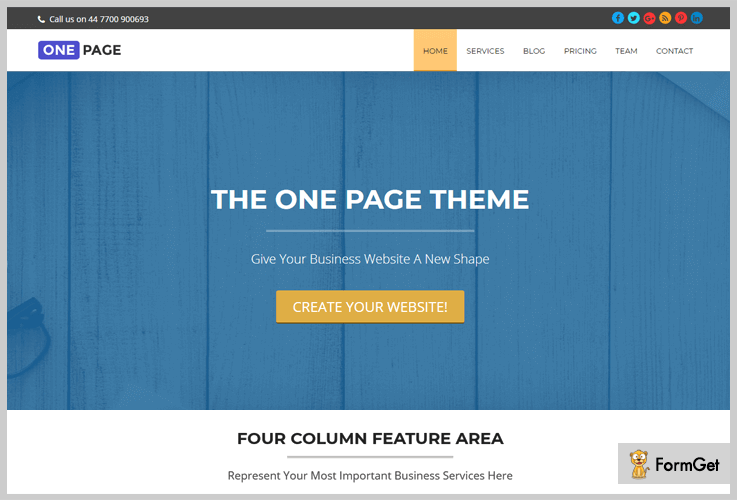 So why the themes remain behind, the concept beyond one page theme is easy to handle and more simple. The theme is built on a compact one-page design and delivers everything in one scroll stroke. Even these theme is well liked than the conventional ones with more than 4000 installations. Slider flex with amazing customizable functionality. You can alter the colours, images, font styles and many more features as per your necessity. Hexagon gallery section to showcase your website portfolio. Google map is there in the contact section. Freely downloadable from its official WordPress website. Designing a good & responsive website to serve professional services is a big deal. And the bigger they have expenses. But if we say all these features will be available for free, then how will it be..? Yes…! 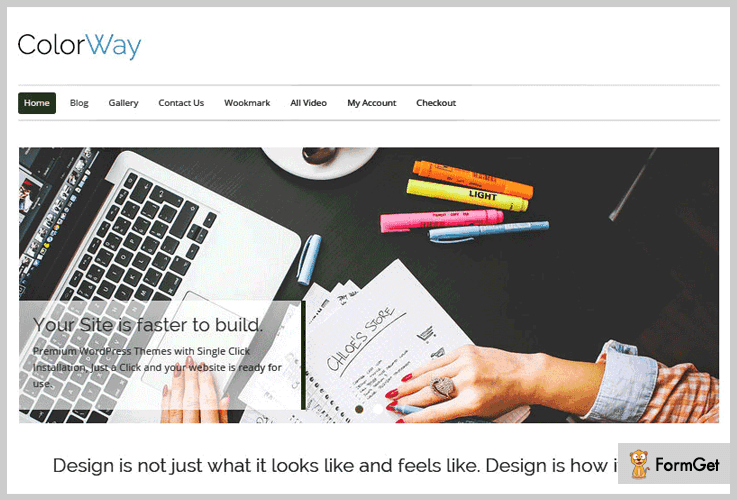 the Colorway theme is free with extendable features like – single-click installation, simple, responsive behaviour and many more. SEO optimized, responsive layout and customizable. Widgets on footer & sidebars. Customizable logo, introduction texts & background. You can download this fascinating theme from its official WordPress website. In conclusion, “Always working on a good platform is a sign of good business startup“. You must proceed with any one of the tattoo studio WordPress themes to build your tattoo art website. I guess the information that we provided here will bring a positive turning point in your business.